The 2018 "world-renowned" Rio Carnival Samba School Competitions starts on Friday, February 9th and ended in the early morning of Tuesday, February 13, 2018. For the first two nights Feb 9 & 10th, thirteen "Serie A" Group Schools are performing on the following nights and in the following order: Friday, February 9, 2018, the opening day and first day of the Group A parades, in the order from first to enter the Sambódromo to last, the scheduled samba schools are: Unidos de Bangu, Império da Tijuca, Acadêmicos do Sossego, Unidos do Porto da Pedra, Renascer de Jacarepaguá and Estácio de Sá. Saturday, February 10, 2018, the second day of the Group A parades, the schedule from first to enter to last were: Alegria da Zona Sul, Acadêmicos de Santa Cruz, Unidos do Viradouro, Acadêmicos da Rocinha, Acadêmicos do Cubango, Inocentes de Belford Roxo and Unidos de Padre Miguel. 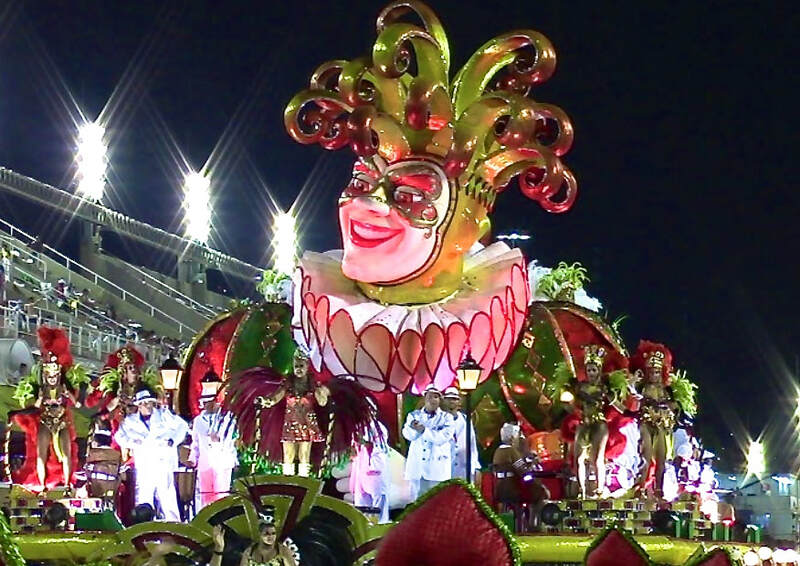 To provide you with a prequel of the upcoming Feb 9 & 10th, 2018 performances of these great schools, “BEST OF RIO CARNIVAL”TM 2018 presents the following fantastic HD videos chronicling all thirteen "Serie A" Group Samba Schools' past performances at the Rio Carnival Celebrations. 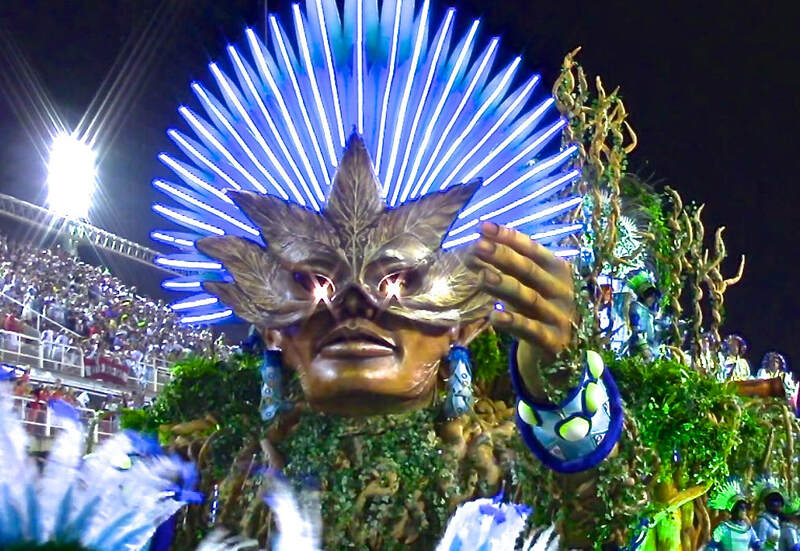 This unique collection of HD videos was taken by Paul Hodge, creator of “BEST OF RIO CARNIVAL”TM 2018 and the SoloAroundWorld YouTube Channel. The following is a summary of the six samba schools which performed on Friday night, February 9, 2018. The summary includes a brief history of each school, key facts about each school and each schools 2018 performance theme. "Unidos Da Bangu" will be the "lead off" samba school to perform at 10:00pm in the Rio Carnival 2018 "Serie A" Group Samba School Parade Competitions. "Unidos Da Bangu" was formed in 1937 in Rio’s Zona Oeste (West Zone) neighborhood of Bangu. 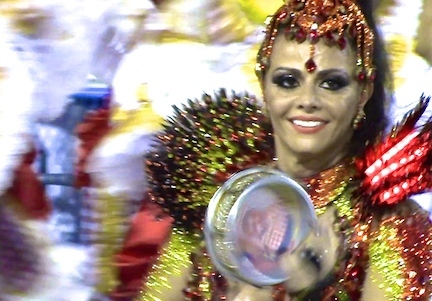 It is the oldest samba school from Rio’s Zona Oeste (West Zone). For its 2018 performance, Unidos Da Bangu's brings the theme “A Travessia da Calunga Grande e a Nobreza Negra no Brasil”, which portrays Brazil's African diaspora and slavery. At 10:45pm, "Imperio Da Tijuca" samba school will be the second to perform. "Imperio Da Tijuca" is from the Morro da Formiga favela community in Tijuca which is a neighborhood in Rio’s northern zone. The school was founded in 1940, and its colors are green and white. The school's theme will present the music of musician Sinval Silva, Carmen Miranda’s favorite composer. The school 's 2018 theme is entitled “Olubajé – Um Banquete Para o Rei” ("Olubajé - A Banquet for the King"). The school's performance is inspired by the Afro-Brazilian “orixa” Obaluaye, god of health and healing. At 11:30pm, Academicos do Sossego, performs at the Sambódromo with the theme “Ritualis”, honoring the diverse rituals from the human cultures. Founded in 1969, Academicos do Sossego promises to surprise the audience this year for Ritualis’ unusual lyrics, which don’t include one single verb, but only nouns and adjectives. Academicos do Sossego was founded in 1969 and is located in Niterói which is a municipality of the state of Rio de Janeiro in the southeast region of Brazil. It lies across Guanabara Bay facing the city of Rio de Janeiro and forms part of the Rio de Janeiro Metropolitan Area. The school’s colors are blue and white. For its 2018 performance, at 12:15am, “Porto da Pedra" (“Port of Stone”) will be presenting the school's theme entitled “Rainhas do Rádio – Nas Ondas da Emoção, o Tigre Coroa as Divas da Canção!” ("Queens of the Radio - In the Waves of Emotion, the Tiger Crowns the Divas of the Song!") The theme pays tribute to the great Brazilian radio singers from the 1930s. “Porto da Pedra" samba school is located in the Sao Goncalo suburb of the municipality of Niterói which lies across Guanabara Bay from the city of Rio de Janeiro and forms part of the Rio de Janeiro Metropolitan Area. The school was founded in 1978, and its colors are red, white and blue. "Renascer De Jacarepagua" is a samba school in Rio de Janeiro which is headquartered in the neighborhood of Largo Tank, in the historic western region of Baixada de Jacarepagua. The school was founded in 1992, and its colors are red and white. The school is scheduled to perform at 1:00am early Saturday morning, and it will be presenting the theme "Renascer de Flechas e de Lobos” (Reborn of Arrows and Wolves) which is a homage to the folklore from Brazil’s North. “This year’s presentation is about originality and overcoming challenges. We will show how the school and the community are happy and united, hopeful for a successful performance,” says Alexandre Rangel, Renascer de Jacarepagua’s “carnavalesco”, person who is in charge of organizing and creating the schools parade presentation. "Estacio de Sa" will be the last school to perform at 1:45am. The school's 2018 theme is entitled “No Pregão da Folia Sou Comerciante da Alegria e com a Estácio Boto Banca na Avenida” ("At the Folia Pregão I'm Merchant of Joy and Estácio Boto Banca on Avenida"). The theme explores the trade activities from Rio’s colonial period. "Estacio de Sa" was named after Rio’s founder Estácio de Sáwmost and is the most traditional samba school in Rio. The school is located in the Rio neighborhood of Estacio which is also known also as “the cradle of samba”. "Estacio de Sa" was founded in 1955, and its colors are red and white. ​​​SUBSCRIBE TO THE “BEST OF RIO CARNIVAL”TM!